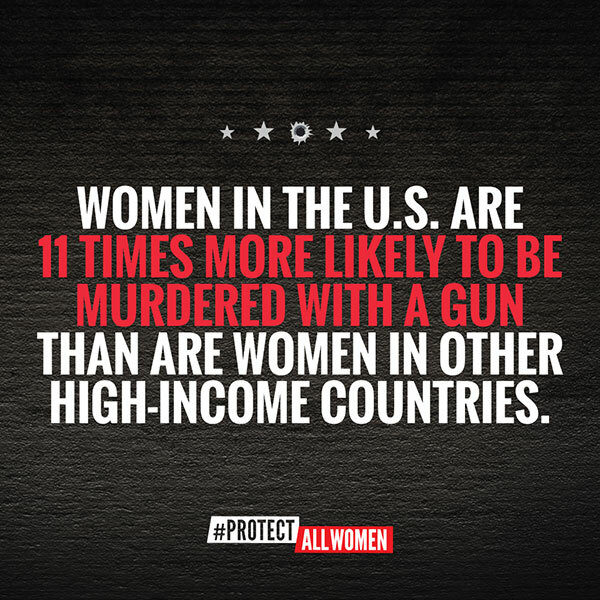 Is your state acting to #protectallwomen? Individuals subject to a domestic violence protective order prohibited? Background checks required on all gun sales? 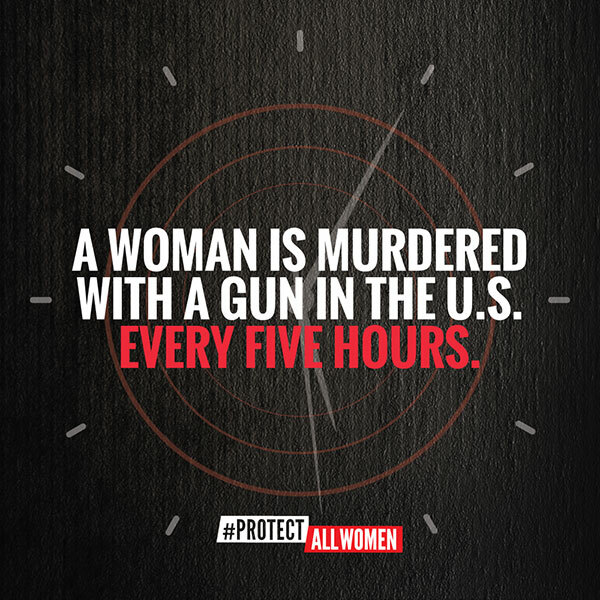 The Protect All Women Leadership Network is a coalition of women leaders, representing a broad cross section of the domestic violence prevention, women’s advocacy, and gun violence prevention movements, working to educate state and federal leaders on the need for solutions that protect women from gun violence and keep guns out of the hands of dangerous domestic abusers and stalkers. Between 2001 and 2012, 6,410 women were murdered in the U.S. by an intimate partner using a gun, more than the total number of U.S. troops killed in action during the wars in Iraq and Afghanistan combined. 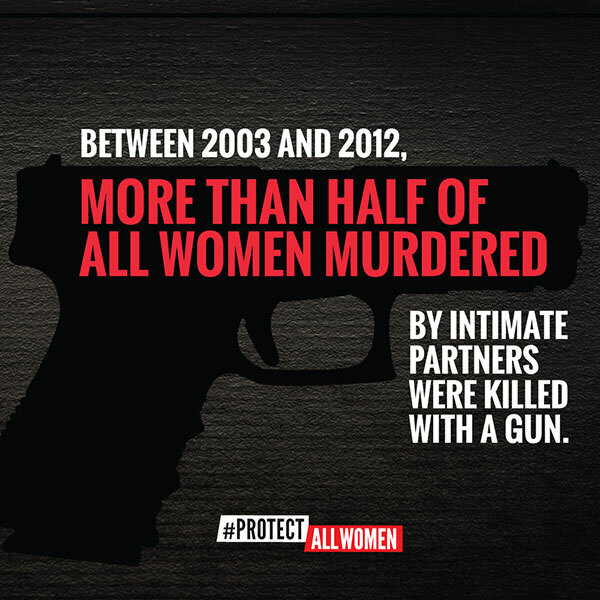 Download a report from The Center For American Progress on the intersection of guns and domestic violence.